A wonderful Brazilian inspired Latin jazz tune was aired tonight, “Doña María”, which was a great transition from Brazilian bossa and samba to Latin jazz. 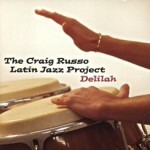 Next, you may find a review of this album by The Craig Russo Latin Jazz Project. 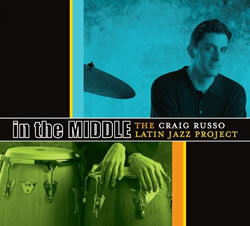 “In the Middle” is the title of the 2007 album released on Kagoot Records by The Craig Russo Latin Jazz Project. 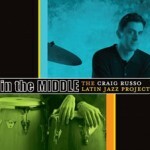 Craig Russo, an experienced jazz musician who falls for the Afro-Cuban percussion and guides his career in terrains of Latin jazz, being “In the Middle” in the actual middle of the discography of The Craig Russo Latin Jazz Project ensemble. “In the Middle” is not a name chosen randomly, as it is quite an evocative one for what this group of musicians presents in this album. In the middle is the situation of many aspects such as the location of the band, in the state of Illinois; a mixture in the middle of two schools of music such as jazz and Afro-Caribbean; apparently in the middle of the career of Mr. Russo. Let me add that to be “in the middle” of so many aspects, the musical result is ahead many standards. 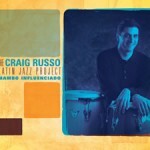 Mr. Russo presents a collection of ten tunes that represents a jewel of contemporary Latin jazz with roots in classical Afro-Cuban patterns of rhythms. A call to Brazilian melodies is also present through the song ‘Doña María’, a tune that brings quite a good mixture of different influences, as the nature of the whole album wants. The cover of ‘Bésame mucho’ is also remarkable. 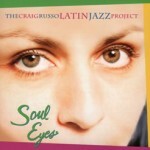 In conclusion, a very compact album that flows from beginning to end putting together a wonderful crossover of Latin music and jazz inspiration.